While most tourists from anyplace in the world knows the significance of Waterloo in history, few know the hip area that the young professionals of London like to live in. Waterloo was largely industrial until the 1950’s when the city revitalized the area. The area has been a transport hub since the Waterloo Bridge was constructed back in 1817, followed most significantly by the Waterloo Station in 1848. Since that time Waterloo has be coined “Southbank” as it sits along the Thames and is south of Westminster and the House of Parliament. In looking to enjoy the lifestyle choices and many area attractions in and around Waterloo rentals that you also have quite a bit to choose from in tower living along the Thames. The area’s high rises offer Waterloo rentals as small as studios and shares, as well as a number of one and two bedroom apartments that are affordable and convenient to the areas transport, and nightlife. Flats can also be had in the Waterloo rental market, though harder to find available than apartment homes. Royal Street offers a number of well established and comfortable 1960’s ex-authority buildings which have been converted from which to choose. Another building in the area that is a step up from some of the older more established, apartment buildings is the Albert Embankment, with modern layouts and reasonably priced one and two bedroom selections. There are many new apartment blocks in that area that offers modern living in a contemporary design and bright river views of both the Thames and the Shard for those who can afford a bit more. Waterloo rental residents certainly share their community with a throng of weekday commuters going to all areas in and around London and a steady supply of tourists who frequent the area. With the well established theater selections that appeal to locals and tourists alike, you will find that the two mix for a fresh and young vibe in this under-rated and convenient community. Want to know more about Waterloo Rentals? This section may just run out of room when it comes to all the amenities and great places to both eat and shop in Waterloo and the Southbank area. Waterloo has some of the best and most frequent Marketplaces and offers modern shops as well as more sophisticated tastes of art galleries and other cultural venues. In particular, the theaters always draw Londoners in large numbers. No one celebrating a special occasion should miss the OXO Restaurant on the OXO Tower with glass walls and an eagle eye’s view of all of London, which also provides a terrific brunch on the weekends. There are many museums and significant history that’s chronologically represented in Waterloo. Of course the big attraction most widely known would be the London Eye. Naturally, the British Museum, The Natural History Museum, and the Science Museum are all good afternoon excursions to choose from on a cloudy day, and for sunnier times a walk along the Thames or a visit to Kew Gardens is a great daytrip. 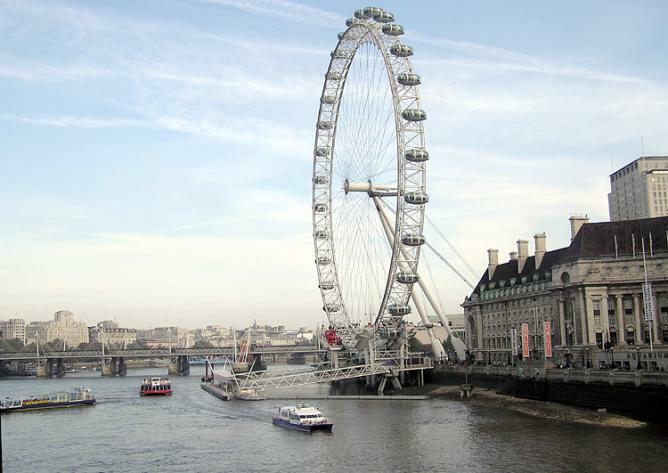 Southbank Centere and the London Dungeon offer Waterloo residents weekend day excursions that are a treat to take in. Of course, the National Theater keeps well attended, as does the famed Sea Life Aquarium. Some of the area’s most popular attractions are the Hayward Gallery, the Royal Festival Hall, and Shakespeare’s Globe Theater. But for the more modern tastes there is a skate-park situated underneath Queen Elizabeth’s Hall, and the village is decorated in unique graffiti art that keeps the area fresh and young. It is what the area is known best for, transport and catching trains that will take you from Waterloo to the South side of London going to a great many UK destinations. Stations in the area are London Bridge, Blackfriars, Waterloo, and Southwark stations. The Tube station serves Waterloo, London City, Jubilee, Northern, and Bakerloo lines and can get commuters to the Central City in less than five minutes. Buses in the area are plentiful and can be had anytime day or night from anywhere in Waterloo and Southbank.